Updated trailer with new footage! Check it out along with the rest of my group members’ trailers. I was having some difficulties uploading these videos to iMovie, so I’ve uploaded the raw videos instead. Hopefully I’ll be able to get the edited videos out this coming week! My Vimeo account is back up and running! 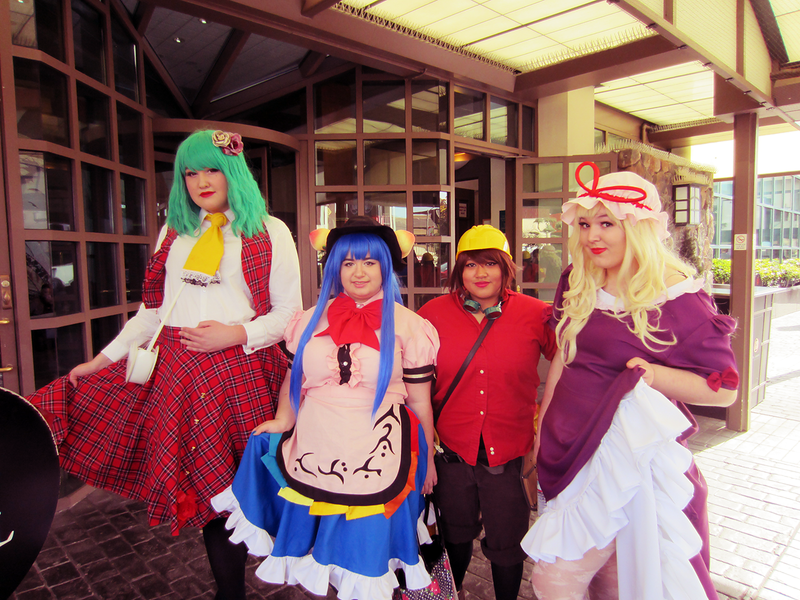 Here’s the next interview with two Touhou cosplayers (Yuuka and Yukari) I met at Animation on Display. I’m still not sure who the blonde cosplayer is cosplaying, so if you know, please enlighten me in the comments! Found out the correct name and have updated the post. A Tenshi Hinanawi cosplayer shares her experience with negative comments about her costumes and appearance. I attended Animation on Display at Hotel Kabuki in San Francisco this past Saturday, and this was actually the first time I’d ever been to a convention. Ever. Crazy, right? I took one of my best friends and my younger sister to help me get some great interviews for the project! 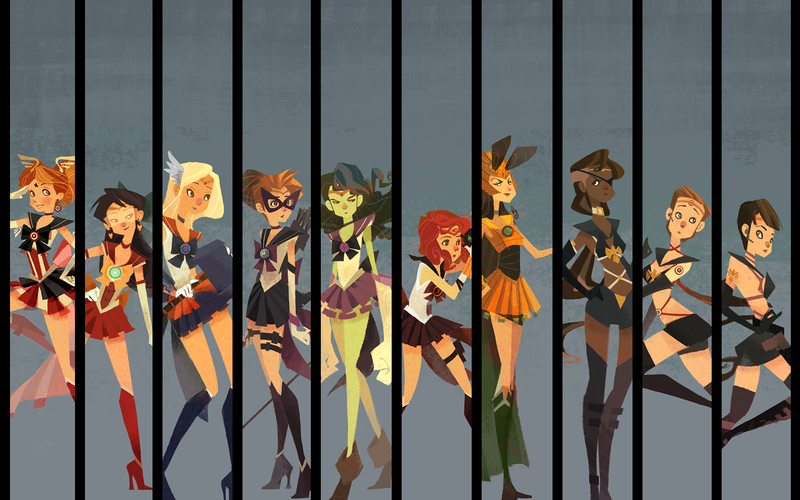 The original artwork that the Avengers-themed Sailor Scouts based their costumes on. I’ll be posting up interviews in a few days so stay tuned! If you are the last cosplayer or know which character she cosplayed, please let me know in the comments! Welcome to my blog on sexism in cosplay! This is where I document my experiences and research as I explore this topic.